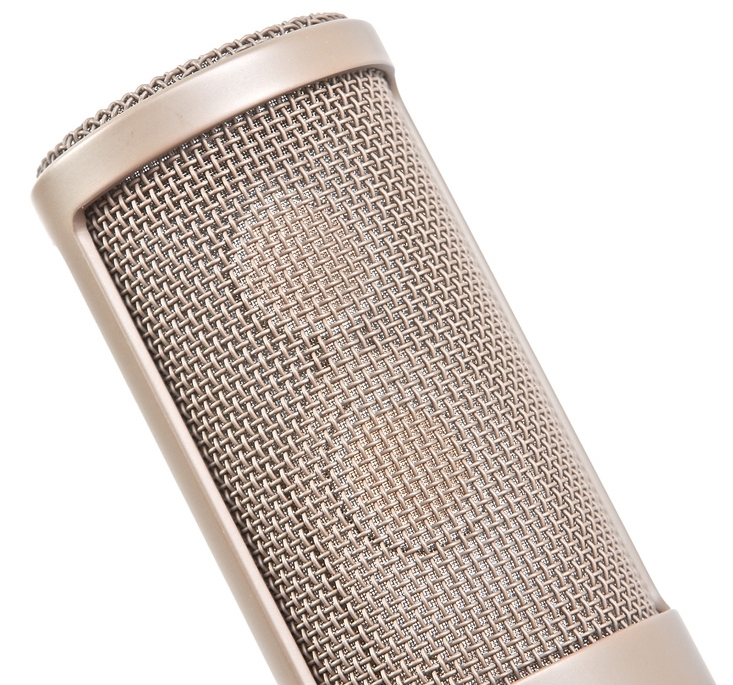 The Sanken CU-51 is a fixed Cardioid condenser microphone with a unique dual-capsule design. It is part of Sanken’s Chromatic line of studio microphones. Much like its sister mic, the CU-41, the CU-51 has two edge-terminated capsules. Details about the capsules are scarce, but from available photos, the capsules seem to be identical in size. 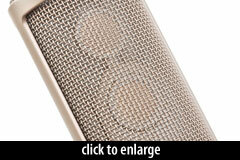 This is in contrast to the CU-41 microphone which has one large- and one small-diaphragm capsule. One capsule is tuned for high frequencies and the other is tuned for low frequencies. The capsules are phase-coherent. Sanken does not state the crossover point for the two capsules. Unlike the CU-41’s titanium capsules, the CU-51 has PPS or Polyphenylene Sulfide capsules. Sanken emphasizes that PPS is immune to temperature and humidity changes. Also unlike the CU-41, the CU-51 is a transformerless microphone. Like the rest of the Sanken Chromatic line, the CU-51 is designed to be as clean and transparent as possible. Toward that end, Sanken have made the CU-51 uniformly cardioid throughout the entire spectrum, and with a very flat frequency response up to 90 degrees off axis. The frequency chart bears this out: the off-axis response is very similar to the on-axis response, just 7db quieter. Sanken recommends this feature as useful for vocalists that move around while singing. The CU-51 is sold with a vinyl bag and without a microphone mount. The KS-51, S-51, or RS-51 are recommended shockmounts, sold separately.